Dr. Angela Cotey, experienced provider of general and pediatric dentistry services, raises awareness of the benefits of a pulpotomy over a tooth extraction. Dr. Cotey is now welcoming new patients in need of a gentle and effective pulpotomy in Mt. Horeb, WI, with or without a referral. Patients in need of a pulpotomy in Mt. Horeb, WI, are now invited to call Dr. Angela Cotey’s practice to schedule an appointment, with or without a referral. Dr. Cotey is a respected dental provider of general and pediatric dentistry services, and frequently offers pulpotomy treatments to pediatric patients as a healthy alternative to a tooth extraction. When a child has a severely infected tooth, extraction is often recommended by general dentists. As a compassionate provider of leading pediatric dentistry services, Dr. Cotey recommends removing the infection from the tooth, whenever possible, rather than extracting the entire tooth. Extracting teeth can often cause more harm than good, especially in young patients whose teeth are still developing and growing. When a tooth is extracted, it can cause space maintenance issues for permanent teeth and can contribute to overcrowding or misalignment. Saving a tooth helps keep the adjacent teeth in their proper places while restoring full dental functionality. Additionally, tooth extraction is often more costly than simply removing the infection from the tooth. For these reasons, Dr. Cotey encourages patients with tooth decay to receive a pulpotomy procedure rather than undergoing a tooth extraction. During pulpotomy treatment, Dr. Cotey delivers a local anesthetic to numb the treatment site and reduce discomfort. She then uses special tools to create an opening in the top of the tooth and remove the pulp, bacteria and nerve tissue, as needed. All signs of tooth decay are removed with special instruments and the tooth is cleaned and medicated. A crown is then placed on top of the tooth to protect it from damage and seal it from bacteria. Young patients who need gentle pediatric dentistry to treat infection and save a tooth, are encouraged to receive a reliable pulpotomy in Mt. Horeb, WI, from Dr. Cotey. Appointments can be reserved by calling her cutting-edge practice, Village Smile Care, at 608-433-2102. Dr. Angela Cotey is a general dentist offering personalized dental care to patients in Mount Horeb, WI. Dr. Cotey and her entire team take pride in offering the latest advancements in dentistry and dental technology to ensure each patient enjoys a comfortable experience with long-lasting results. Dr. Cotey combines advanced dentistry with a fun and friendly style. She is a member of numerous professional organizations including the American Dental Association, the Wisconsin Dental Association, American Academy of Cosmetic Dentistry, Fellow in the Academy of General Dentistry and current President of the Wisconsin Dental Study Club and Madison Dental Progress Forum. 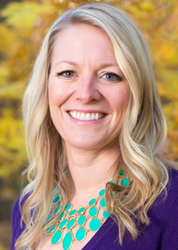 To learn more about Dr. Cotey or the services she offers, please visit her website at http://www.villagesmilecare.com or call 608-433-2102 to schedule an appointment.